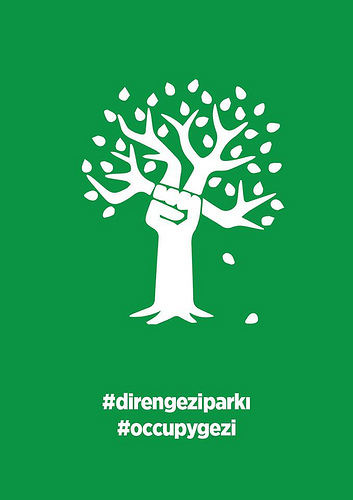 The Gezi movement has united people in a square and around a tree against the polarizing policies and rhetoric of the ruling party. It has brought together people, ideas, lifestyles and clubs that are hard to get to come together, including young and old people, students and bureaucrats, feminists and housewives, Muslims and leftists, Kurds and Alevis, Kemalists and communists, Fenerbahçe and Beşiktaş supporters. These people might have taken the stage perhaps only for a moment, but that moment has been engraved on the square and on the collective memory. Some see this movement as doomed to be a minority movement as it cannot create an impact or opposition in the political arena. But the role and transformative power of active minorities in democracies cannot be underestimated. More importantly, it is wrong to look at this movement with a political perspective. The square movement can renovate the social imagination or texture of democracy as long as it remains independent and autonomous from political parties and preserves its innocence in the shadow of trees. But if it inserts itself into a political movement, it will, in fact, distance itself from democracy. Read more at Today’s Zaman.